But what can such a list really tell readers about the heartbeat of American fiction? Once upon a time, in 1983 to be precise, a small U.K. literary journal published a list of what it considered the 20 best novelists in Britain under the age of 40. Lists like Granta’s Best Young British Novelists are now so commonplace—from the New Yorker’s decennial 20 under 40 list to the National Book Foundation’s annual 5 under 35 citations—that it’s startling to recall what a sensation this one, the first of its kind, caused. Granta’s 320-page anthology of selections from the chosen writers’ work sold over a quarter of a million copies in Britain alone. Over the years, that first 20-under-40 list became rather legendary, and it’s not hard to see why. Among the winners Granta picked were Kazuo Ishiguro, Ian McEwan, Rose Tremain, Martin Amis, Pat Barker, Julian Barnes, William Boyd, Graham Swift, and Salman Rushdie (although Rushdie was a bit of a gimme, since he’d already won the Booker Prize for Midnight’s Children.) The journal’s follow-up 10 years later was nearly as impressive, featuring Jeanette Winterson, Alan Hollinghurst, Hanif Kureishi, and Louis de Bernières, who would, in the following year, go on to publish the international bestseller Captain Corelli’s Mandolin after several commentators complained that he was one of the list’s most obscure honorees. The 2003 list included Rachel Cusk, Sarah Waters, Hari Kunzru, Monica Ali, David Mitchell, and Zadie Smith (another gimme—White Teeth came out in 2001). The journal branched out and began publishing an American version in 1996. 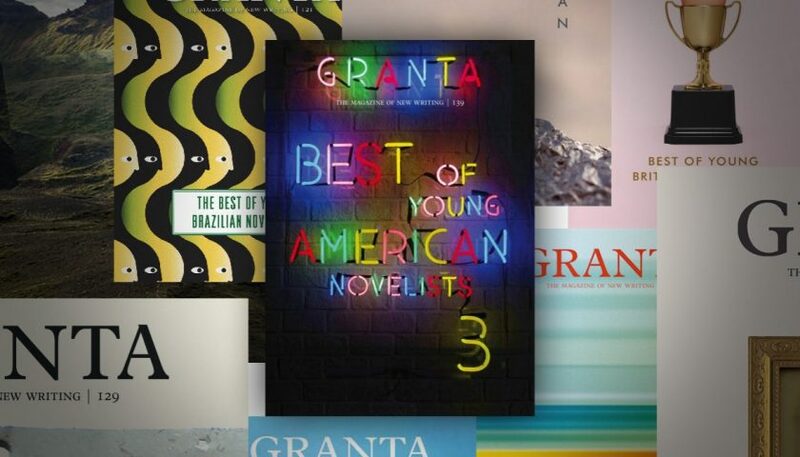 Lists of the best and the brightest young novelists, the literary equivalent of hot stock tips, became Granta’s brand. It was ever thus, but that doesn’t mean excellent writers don’t surface in such lists (or win prizes). Sherman Alexie, Lorrie Moore, Jonathan Franzen, Elizabeth McCracken, Jeffrey Eugenides, and Edwidge Danticat made the cut in 1996. Others (Fae Myenne Ng? Robert O’Connor?) have, however, vanished from the public eye. Although the 2007 list featured such comers as Anthony Doerr and Gary Shteyngart, it nevertheless felt like less of an event. Whether the 2017 list can recover the old momentum remains to be seen, but in America, it will always be a trickier proposition than in the U.K. Some of that comes down to historical moment. In Britain, Granta’s 1983 list crystalized a literary renaissance sometimes referred to as “The Empire Strikes Back.” A generation of sober, realist, middle-class, and very English fiction gave way to a flood of vibrant, imaginative voices from former British colonies and protectorates. In addition to Rushdie, the first 20 under 40 list included Nigerian-born novelist Buchi Emecheta and Shiva Naipaul (brother of the Nobelist V.S. ), who would die of a heart attack in 1985, leaving the world bereft of, in Amis’ words, “30 years of untranscribed, unvarnished genius.” These writers represented an injection of new cultural energy that readers found thrilling. A British friend once described the feeling of walking into a bookstore back then as being like the moment when Dorothy steps out of her black-and-white farmhouse and into the Technicolor of Oz. A curious thing about digging through the coverage of past Granta lists: Commentators are always exclaiming over how diverse the current roster is, even though diversity has from the beginning been central to Granta brand. The most recent American list is indeed, diverse; 13 of the writers on it are women, five are people of color, and five were born overseas. But it could hardly not be diverse without inviting a barrage of criticism, and in fact the demographic breakdown of the American list hasn’t changed all that much since 1996 (although the number of women on it has been creeping upward). The diversity that represented a bold aesthetic statement in the Britain of 1983 is today a standard that everyone is expected to meet. Once the head-counting is done, what can a list like this one tell readers about the heartbeat of American fiction? The choices range from the market-friendly literary fiction of Emma Cline, whose debut The Girls was a hit last summer, to the experimentalism of Joshua Cohen and Ottessa Moshfegh, to the immigrant novels of Dinaw Mengestu and the Western reveries of Claire Vaye Watkins. Auto-fiction, a form of fictionalized autobiography or journal-writing, the nearest thing to a hot trend in literary circles, is represented not only by Ben Lerner but, indirectly, by writers like Esmé Weijun Wang, known as much for personal essays as for fiction. Garth Risk Hallberg writes fat social novels in the tradition of Franzen and Eugenides, and Lauren Groff attended to the time-honored novelistic task of plumbing the mysteries of marriage in 2015’s Fates and Furies. If any artistic directive unites them, it’s impossible to discern. To assemble all of these writers under the rubric of “Best Young American Novelists” isn’t, of course, to argue that they represent a cohesive literary school or trend or even mood. Granta’s American lists have always had a scattered quality because American fiction does, too. It wasn’t just the vitality of the writers on that first British list that ignited so much enthusiasm in 1983. Also crucial was the boredom readers felt toward the uniformity of the books being produced by England’s literary establishment. Even more than rebels, a revolution requires an entrenched power to overthrow. The U.S., with its strong regional literary traditions, has never had such a firmly situated establishment, and even what once passed for it at midcentury has long since fractured. Today’s young American novelists don’t have a cohesive mainstream to rebel against, and in the eyes of their aspiring colleagues, the authors on Granta’s 2017 list look a lot like the establishment themselves.